More and more now, I get asked by both current residents and out-of-towners about unique, off-the-beaten path experiences I recommend checking out here in the Austin area. Granted we’re gifted with many amazing options both locally and out in the Texas Hill Country, there’s not one obvious answer. However, since we’re in the midst of another hot Texas Summer, I’ll respond with one of the favorite activities I’ve discovered over the last year and one that’s certainly sweeping the nation – Stand Up Paddle Boarding, or “SUP” to the more advanced. SUP is an uber-cool activity that can be enjoyed by many different age groups, athletic levels and desires for adventure. 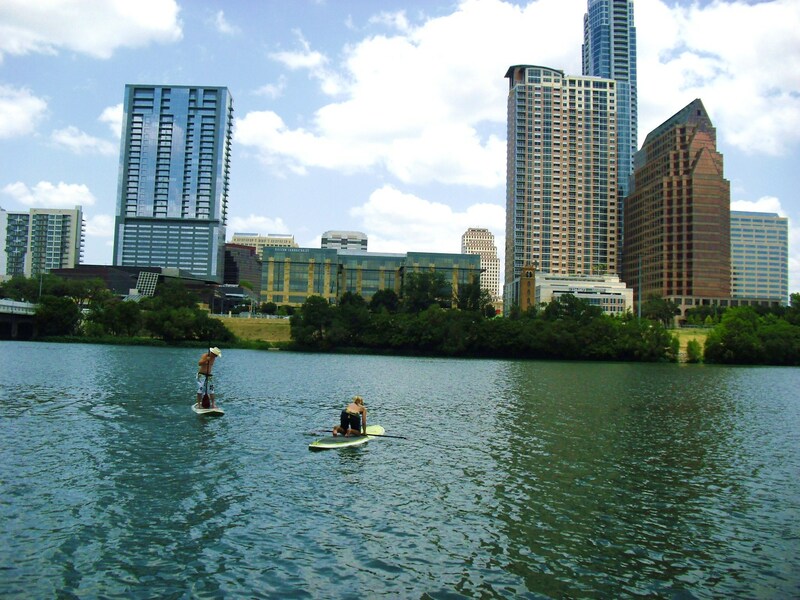 An excellent way to exercise, burn some calories and enjoy the outdoors and open waters around ATX. 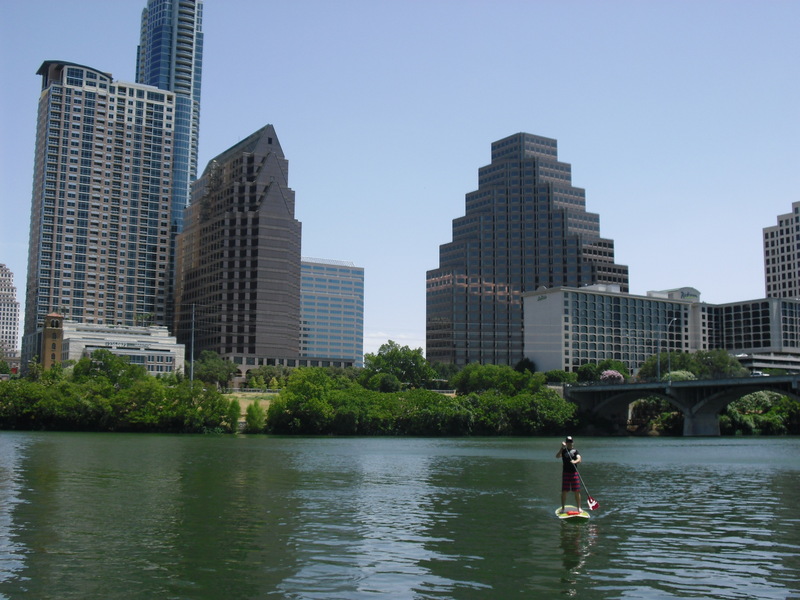 With options to rent SUP boards from various locations on Lady Bird Lake, Lake Austin and Lake Travis, I recommend taking on paddle boarding right through the heart of downtown on the waters of Lady Bird Lake (Town Lake to the natives). 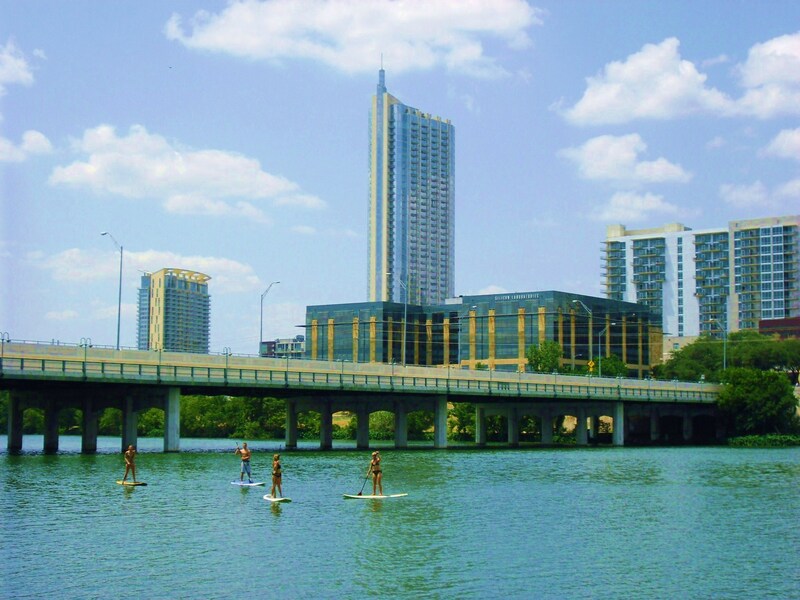 I can guarantee to you that Austin is one of the few cities in the U.S. where you can experience an awesome outing like SUP through the Central Business District with stellar skyline views and an urban vibe, while also having the ability to cool off, dip the toes in the water and remain in tact with nature. As for the activity, itself, all I’ll say about SUP (that, admittedly, I learned the hard way for those with me on my “rookie” outing) is the need for good balance and decent upper body strength, if you intend on standing on the board during your SUP voyage (yes, I fell off my board into the water right away). This is, by no means, meant to intimidate anyone out there. Paddle boarding is really not difficult and most rental companies around town offer basic lessons to get you started. Not to mention, if you really feel like it, you can sit or kneel on the board throughout your voyage, but I would suggest being adventurous! 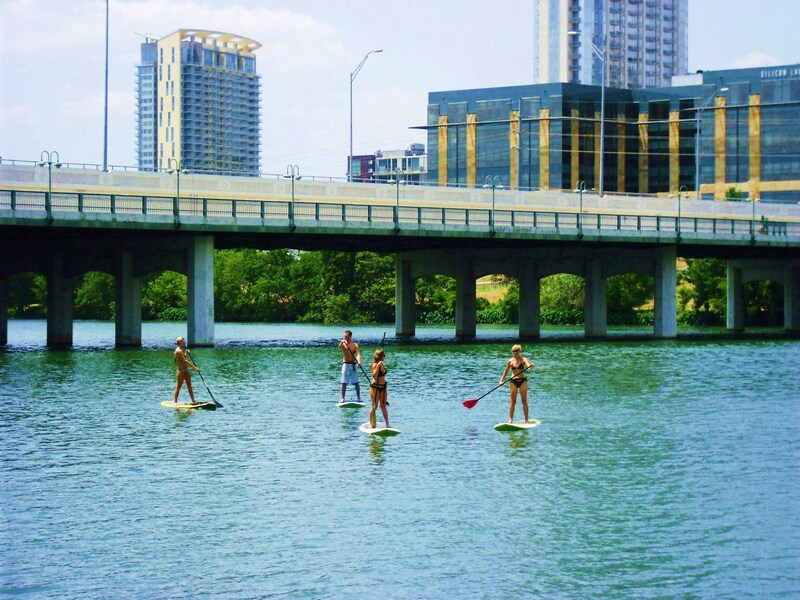 With rentals by the hour from a few different operations (roughly $30-$50 per hour), whether you’re in from out of town or just an Austinite lookin’ for somethin’ extremely cool to try, I urge you to check out stand up paddle boarding and get out on the water!